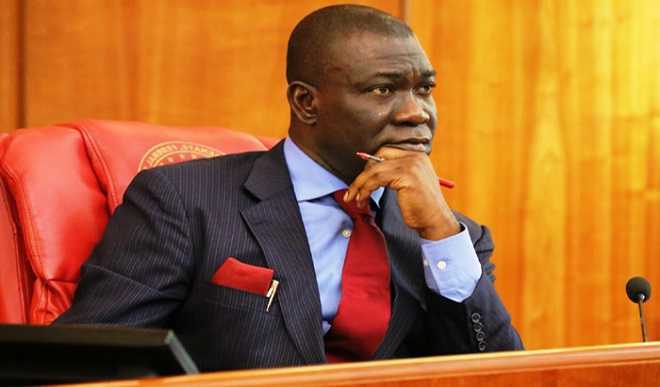 Deputy senate President, Ike Ekweremadu ‎has expended N38.5 million on 18 university undergraduates across the 17 local government areas of Enugu state. Three Hundred students were also part of the beneficiaries who received bursaries to the tune of N40, 000 each while 9 others received empowerment items such as sewing machines and motor bikes.Vanguard report. Senator Ekweremadu through his Non-profit organisation, Ikeoha Foundation, is also bankrolling sponsorship of 12,000 ‎adult learners in an adult education programme. Presenting cheques and other items to the beneficiaries at Ikeoha Foundation Adult Literacy Day in Udi, Senator Ekweremadu said he couldn’t have achieved his present status if not for his educational background. “I want to show that no time is late to go to school. I pray that these (adult students) would take up positions of authority in no distant time. “For some people, their parents had to sell lands for them to go to school but now there is help. One day I will be tired of Ikeoha foundation and I hope one of these people will take up the foundation,” Ekweremadu said. He noted that he stands tall to speak at the National Assembly because of the mandate of his people. “So it’s time for giving back and any support I get from people, I appreciate so much. “I couldn’t have achieved what I am today without education. It liberated me to speak anywhere and with anybody in any part of the world without feeling intimidated,” he said. Dignitaries at the function included Governor Ifeanyi Ugwuanyi of Enugu state; Peoples Democratic Party, PDP, governorship candidate for Anambra state, Oseloka Obaze; National Assembly members and other PDP Stalwarts both from and outside Enugu state.